The following provides a standard set of information to enable you to examine the activities of the Parish Council. Some of the information is also available elsewhere on the website but it is shown here to be the complete set of information legally required under the Transparency Code for Smaller Authorities. 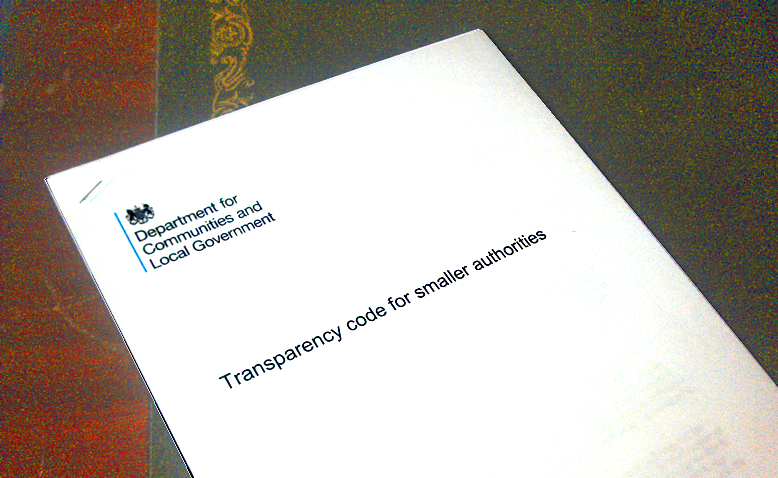 In December 2014, the Government issued the Transparency Code for smaller authorities. This Code, like the February 2015 one for larger councils, is issued under section 2 of the 1980 Act. The Publication Scheme (click to view) adopted by the Parish Council in 2011 provides a full list of information that is available from the Parish Council and it identifies the method for obtaining the information. Since that date an increasing amount of information has been made available via the website and so it is advisable to search the website before requesting information that may incur a cost to you. Smaller authorities must publish the draft minutes from all formal meetings (i.e. full council or board, committee and sub-committee meetings) not later than one month after the meeting has taken place. These minutes should be approved and signed at the next Parish Council meeting. Smaller authorities must also publish meeting agendas, which are as full and informative as possible, and associated meeting papers not later than three clear days before the meeting to which they relate is taking place. Smaller authorities must annually publish information not later than 1 July in the year immediately following the accounting year to which it relates. This is particularly important to enable local Government electors, council tax payers and ratepayers to scrutinise financial information so that they are able to exercise their rights to question and make objections to the auditor during the 30 day period each year for that purpose. A notice will be given each year on this website of the start and end dates of this period. As per Minute 13.4 of the Parish Council Meeting of the 25th April 2018 It was confirmed that the Parish Council had not completed a long form unaudited Accounts Report to the Year Ending 31 March 2018, as they had done in previous years. This is because it is not a statutory requirement and the detail is contained in the Annual Return. These documents are separately listed below, however for some years these sections are contained in the same document and where this is the case the document is listed under each of the sections. Under a new audit framework effective from 1 April 2017, established by the Local Audit and Accountability Act 2014, Parish Councils (and internal drainage boards, charter trustees and port health authorities) with an annual turnover not exceeding £25,000 will have the option to declare themselves to be exempt from external audit, providing that they meet set criteria, as detailed below. These are published on the Parish Council page.